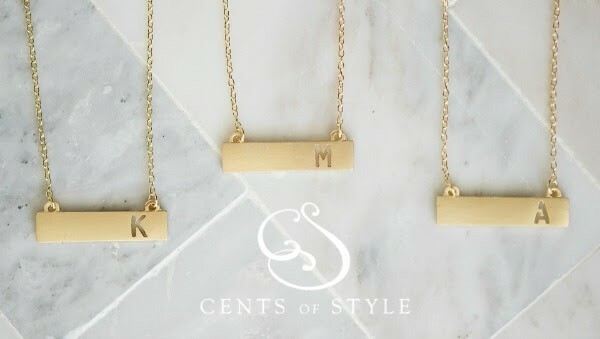 I love a good Fashion Friday deal, just as much as I love these Monogram Bar Necklaces. I’m sure you’ve seen them on Pinterest and the style blogs if you follow them. 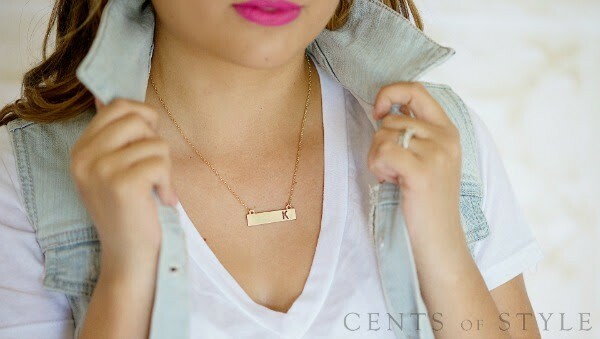 Cents of Style has a great deal today on theirs: $11.95 plus Free Shipping with the code FASHIONFRIDAY. Description: 18″ gold metal chain with 1 3/8″ x 3/8″ bar with stenciled letter out of it. 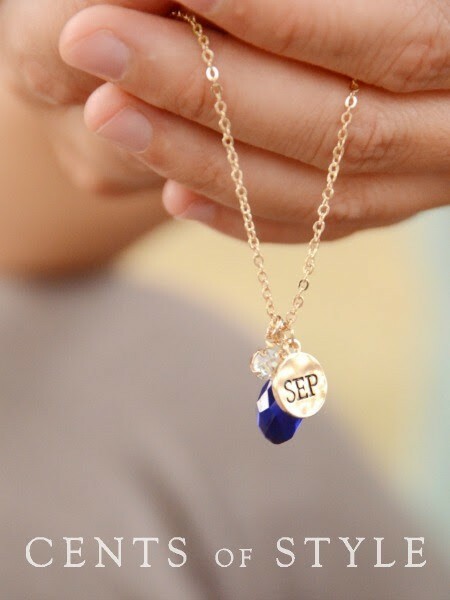 Cents of Style is also running a special on their Delicate Birthstone Necklace. It’s on sale today for only $6.95 plus Free Shipping with code FASHIONFRIDAY. Both of these necklaces make for the perfect gifts and they look amazing stacked and worn together. You can get both for under $20 and free shipping! The beauty of the monogram is you can wear your first name, last name or a child’s name. On the birthstone necklace you could wear your own birthday, an anniversary or a child’s birthday. 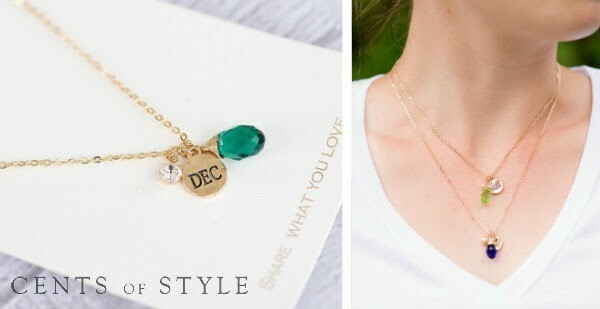 Take advantage of this fantastic one day only sale on the Monogram Bar Necklace and Delicate Birthstone Necklace today! Order yours here.